You must use Form 1040 or Form 1040A to claim the tuition and fees deduction. If you're the parent of a high school student who is taking college courses and you're footing the bill, you might qualify for the tuition and fees deduction. In the past, the Internal Revenue Service took the position that to claim the tuition and fees tax deduction, the student needed to have completed high school or received a GED. However, in 2012, the IRS issued new guidance that suggests the costs paid for high school students to take certain college courses may also qualify for the tuition and fees deduction. If your child is still in high school but takes classes at or through a college, university or trade school, you may qualify to write off those tuition costs as part of the tuition and fees tax deduction. For example, if your child enrolls in a biology course at the local college as part of an early-entry program while he's still in high school, you could use the tuition that you pay to the college for the deduction. The deduction is limited to $4,000 per year. The deduction does not include costs paid to the student's high school or for special tests, such as Advanced Placement or International Baccalaureate tests, because those costs are not paid to a qualifying educational institution. You also can't deduct the portion of the high school tuition that goes towards the AP or IB classes. Qualifying educational institutions are only those that can participate in financial aid programs sponsored by the U.S. Department of Education, which include colleges, universities and trade schools, but not high schools. Finally, you can't claim the deduction if you don't claim your child as your dependent. The tuition you pay for your high school student who is enrolled in college courses at a college, trade school or university may also qualify for the lifetime learning credit, which could result in bigger tax savings. The lifetime learning credit equals 20 percent of up to $10,000 of tuition, for a maximum credit of $2,000. However, you can only claim one tax benefit for education per student, each year. For example, if you claim the lifetime learning credit for your child, you can't claim the tuition and fees deduction as well. When you pay the post-secondary school costs, even for a high school student, the school sends you a Form 1098-T at the end of the year that shows how much you paid. 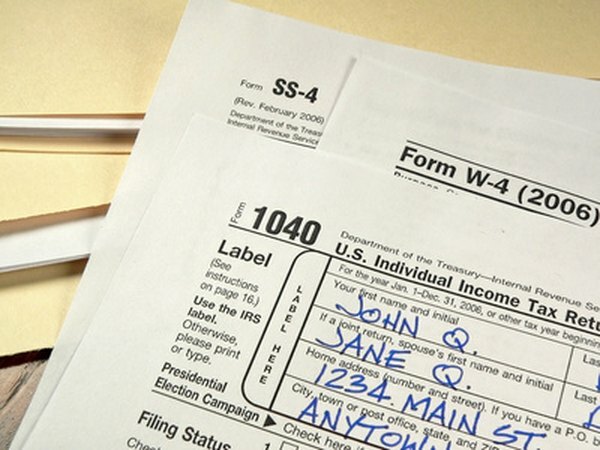 When you file your taxes, you have to use either Form 1040 or Form 1040A. To claim the tuition and fees deduction, you have to use Form 8917. To claim the lifetime learning credit, you have to complete Form 8863 instead. What College Expenses Can I Deduct From My Federal Taxes? Can I Deduct College Student Rent From My Income Tax?